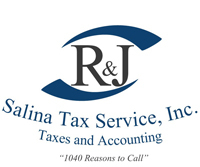 Tim Jr has been working at R & J Salina Tax Service, Inc since 2001 and actually preparing tax returns since 2006. In March of 2010 he became an Enrolled Agent (EA). Tim Jr is involved various types of returns such as individual, trust, partnerships, corporations and business returns. He maintains a broad base in tax knowledge for tax preparation, QuickBooks, payroll, and sales tax. In 2005 he joined National Association of Tax Professionals (NATP), and in 2006 became a member of the Board of Directors for the Kansas Chapter. In 2010 he became the President for the Kansas Chapter of NATP. Tim Jr is also the education chair for the Kansas Chapter and has been since 2009. Tim Jr has also been a state certified chapter instructor to help other tax professionals keep up with the many tax law changes. He is also a member of the National Association of Enrolled Agents (NAEA) in which he became a member in 2010. Tim Jr attends 70 to 80 hours of tax education all over the United States on a yearly basis. Tim Jr has a Bachelor degree in Accounting from the University of Phoenix, which he completed in 2007. He is thinking in the future of obtaining a Masters Degree in Taxation. He is also active in the community with the Chamber of Commerce, Downtown, and Military Affairs Counsel. The family, community, work and NATP events help to keep him very busy throughout the year. Judee joined the R & J Salina Tax Service, Inc team in December of 1993 and has been preparing tax returns and performing bookkeeping services since 1994. Judee earned her Bachelor’s Degree in 1979 from Luther College. Upon graduating Judee worked in accounting in Houston, TX for 10 years before moving to Salina. She specializes in both individual and small business returns along with sales tax and payroll for bookkeeping clients. In recent years Judee became a member of the Kansas Chapter of National Association of Tax Professionals (NATP). She is able to keep up to date on tax law through continuing education every year. Judee became an Enrolled Agent November of 2014. She can now represent clients before the IRS to better assist them with any IRS correspondence. Judee enjoys staying busy year round by providing tax and bookkeeping services to all her clients both existing and new. Tammy Rodgers has been promoted to be a tax preparer for the 2014 tax season. Tammy is a mother and grandmother, born here in Salina Kansas. She met her husband David at Fort Sill in Oklahoma. In 2003, Tammy graduated from Brown Mackie College with an Associate’s Degree in Accounting and Business Management. She started working at R & J Salina Tax Service in 2004 as a receptionist, then started doing data entry 2 years later until receiving her RTRP (Registered Tax Return Preparer) in 2012. She will be receiving her AFSP (Annual Filing Season Program). Jennie was born in Germany, but raised here in Salina Kansas. She is the youngest of 5. In 2014, Jennie graduated with a degree in Accounting from Kansas Wesleyan University. Jennie started at R & J Salina Tax Service, Inc as a tax preparer in 2014. She then pursued another career opportunity for two years and has now returned as our bookkeeper in May 2018. Danielle started at R & J Salina Tax Service, Inc in January of 2013 as a receptionist. She has been our office ninja and looks forward to assisting Tim’s clients this tax season. Danielle grew up here in Salina, Kansas. She has 3 children and a husband who keep her busy. Kelli came to work for R & J Salina Tax Service, Inc in January of 2016. She grew up in Southwest Kansas and spent several years in the OKC area before moving to Salina. She has 2 grown sons and a husband. She looks forward to her new roll as Judee’s Assistant.